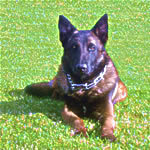 Amazing K-9 Training specializes in all areas of your training needs. 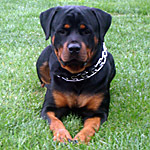 Basic obedience training, behavioral problem solving for all breeds. 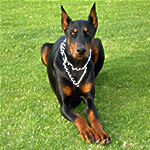 Other specialized services for working breeds include personal protection and advanced obedience. 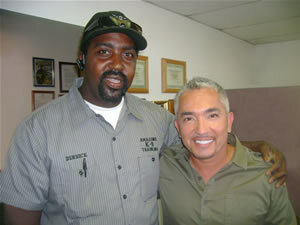 Our trainers are certified professionals and are experienced in all areas of canine behavior and problem solving. We stress the importance of early public socialization to help the development of the dogs disposition. Our goal is to educate the dog owner, in addition to turning out well trained dogs. We believe that a responsible dog owner be well informed as to matters of canine behavior, safety and fully aware of their dogs temperament. Our training techniques can be adapted to suit the dogs disposition. Our firm, but humane non-abusive techniques teaches your dog obedience. A proper foundation in obedience training will allow you to train your dog to do almost anything. We encourage students to continue working with their dogs after the conclusion of the training course. Dog training is by nature an ongoing process to achieve the best results. 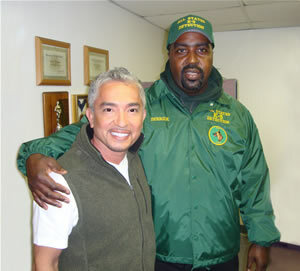 Learn dog training techniques form dog trainers in Los Angeles and Orange Counties. If your have experience dog training classes that try and bribe your dog with food for everything and id not get results, Amazing K-9 Training is your best choice for training. Most of the dog trainers today will only get your dog to sit in your back yard if there are no distractions present. Dog owners need to stop and think before they enroll in dog training classes taught by amateur dog trainers. Anyone can call themselves a dog trainer. We use positive reinforcement, but clicker training, and food bribery trainers are only wasting your time and money. Food bribery promotes dominant and aggressive behavior which often leads to dogs having to be destroyed. Your dog is not trained if your have to keep it on a leash to get it to behave. If your dog is having behavior problems at your home, you need to train it at your home. 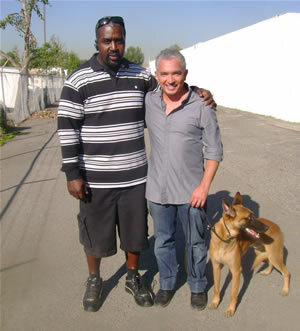 Don’t get rid of your dog, dog training is about you having a relationship with your dog and the dog responding to you. Training with food ruins dogs and hurts the relationship. If your want your dog to respond to you, stick with real dog trainers not food-bribery amateurs.